In celebration of the upcoming release of Metal Gear Solid V: The Phantom Pain this week, we’re focusing our attention on the Metal Gear Solid series by looking back on the series’ fourth installment, Metal Gear Solid 4: Guns of the Patriots, originally released for PS3 in 2008. We’ll be chronicling the main installments of the series periodically catching up to The Phantom Pain‘s release this week. With a history and legacy that spans nearly three decades, Metal Gear Solid is one of gaming’s veteran series, spanning from its nearly days on the NES to its latest iteration just on the horizon for current-gen platforms. 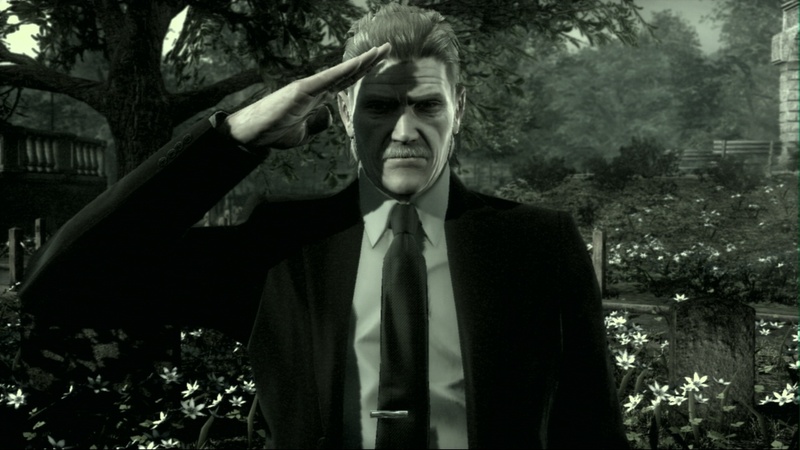 To that end, the release of 2008’s Metal Gear Solid 4: Guns of the Patriots on PS3 marked 20 years of the series history, and more importantly the closure of protagonist Solid Snake’s storyline in one of its most epic installments yet. From the iconic opening of the original Metal Gear Solid on Shadow Moses Island to everything in-between, Guns of the Patriots marked one of the biggest games to release last generation not only for introducing Metal Gear to the HD era, but for bringing the conclusion of a story that’s spanned over two decades: perhaps an appropriate parallel to the upcoming release of The Phantom Pain marking a bittersweet finale of sorts for Hideo Kojima’s acclaimed series. Picking up five years after the events of Metal Gear Solid 2: Sons of Liberty, Guns of the Patriots sees the world in a very different way as Snake appropriately remarks: “war has changed.” Now living in a world that’s consumed by “the war economy” and where private military corporations vastly outnumber those of national militaries, right from the get-go players are introduced to a world where war consumes everything – it’s as much its own business as it is a destructive act of violence. Against those odds however, Solid Snake returns with a whole new set of tools and skills, despite the setback by his accelerated aging. 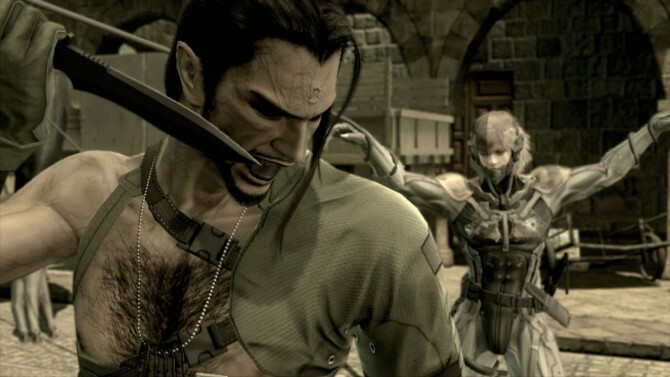 Despite the new moniker of “Old Snake,” the series’ iconic protagonist shows his age throughout the title with newly-implemented mechanics such as his Stress meter and a reworked stamina system, though his new tricks help bring Snake into the modern era with more tactical stealth advantages. 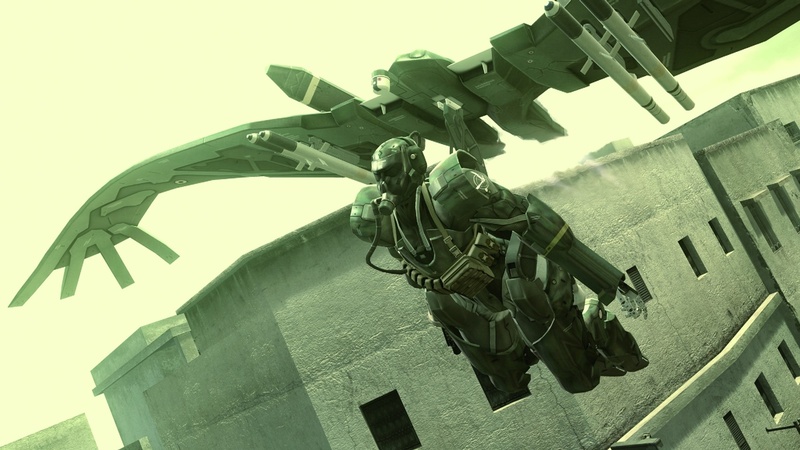 Building off the ideas of 2004’s Snake Eater, Guns of the Patriots provides Snake with his new “OctoCamo” suit, where staying still in specific spots can allow Snake to blend in with the environment around him: essentially making him invisible to passing enemies unaware of his location. 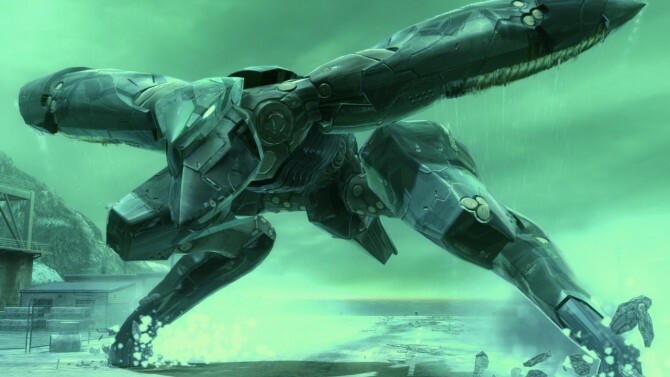 As an updated take on the camouflage system from Metal Gear Solid 3, the neat twists of Guns of the Patriot on implementing more futuristic tech was easily shown through mechanics like OctoCamo, making for an experience that still felt just like Metal Gear to me going through the series, but with enough new twists to keep it interesting. One of the greater improvements during my run with Guns of the Patriots for the first time was the fact that, up until Ground Zeroes‘ release last year, Metal Gear Solid 4 easily was the most enjoyable Metal Gear title I’ve played purely on the basis of its revised control scheme. While it took some getting used to in adjusting to some of the new button placements, Guns of the Patriots‘ revised controls made for the most fluid Metal Gear experience I’ve had while going through the series. Even with just some of the smaller implementations like a sneaking crouch and the new over-the-shoulder controls, it felt like a breath of fresh air having a range of new stealth options open with controls that I highly preferred over previous installments, but obviously that’s more of a sign of the series’ progression than a knock against the previous games, which are still excellent in their own rights aside from my issues with their controls. That said, Guns of the Patriots from top to bottom is all about fan service. As I completed the game in about 18-20 hours in my final total playing time, there’s much to be said about how much of that was actually playing the game versus its infamously-long cutscenes, several of which exceeding 20-30 minutes at a time. That said though, Guns of the Patriots earns those embellishments by making Metal Gear Solid as epic as it was always meant to be. Richly cinematic and full of the military melodrama it has been known for, Guns of the Patriots brings Metal Gear into a terrifying new world while still retaining nearly every aspect that made fans fall in love with the series in our first adventure with Solid Snake. 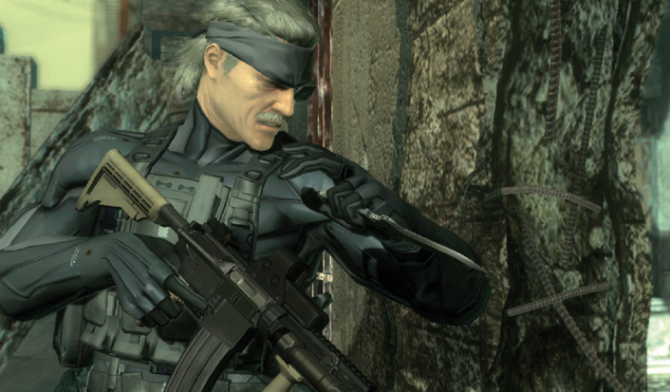 As the culmination of over two decades of Metal Gear history at the time, Guns of the Patriots felt like the “everything but the kitchen sink” game for Hideo Kojima and the team at Kojima Productions. 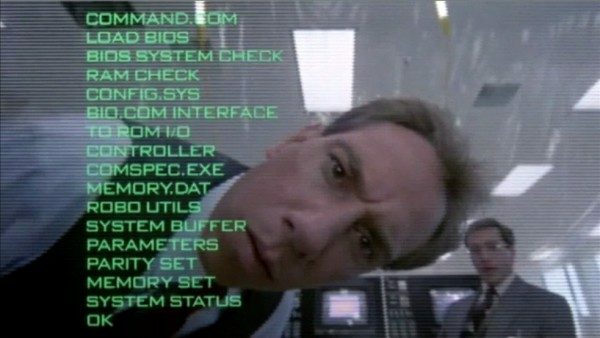 Nearly every face, place, and situation from the series gets their moment in the title, with old faces like Meryl, EVA (now known as “Big Mama”), Otacon, Raiden, and more joining some new ones like Drebin (and his hilarious diaper-wearing monkey Little Gray) and the various members of the Beauty and the Beast Corps. Everyone gets their moment in the spotlight before the series’ concluding moments. That sense of finality in Guns of the Patriots is clear in nearly every moment, yet Metal Gear Solid 4 still kept me engaged throughout the often-lenghty experience, with two moments in particular capturing what made this title a high-mark for the series and a fitting end to a decades-long story. 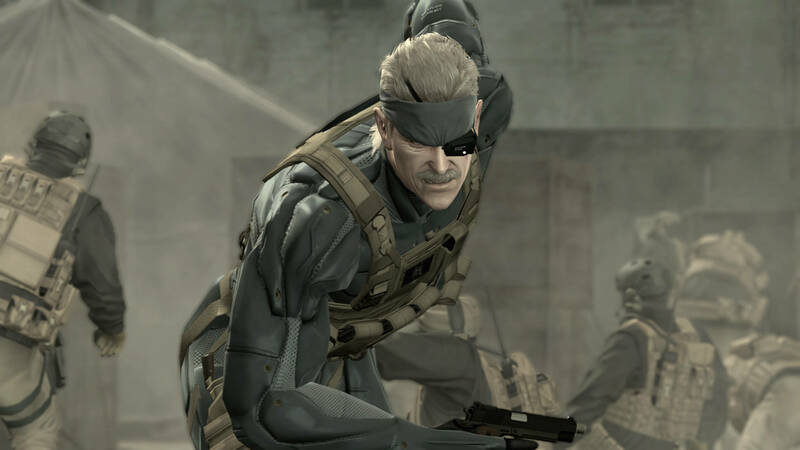 The first of these is the game’s penultimate chapter, where Snake returns to the original game’s location of Shadow Moses Island, and right from the very beginning drops the player into a dream sequence echoing the beginning of Metal Gear Solid. Even as just a brief segment of the game that initially made me question what was happening (and especially made me reflect on encountering a similar scenario earlier this year in Wolfenstein: The New Order), it was a touching little nod to the years of work that Kojima and his team put in to a story that’s spanned decades and generations. Revisiting the location that many will forever associate with the series, now decrepit and a shell of its former self, was poignant and just one of the moments that Guns of the Patriot honored the series’ legacy. In particular though, for me (and I’m assuming many, many others) the game’s final boss encounter is truly the moment that brings together two decades of Metal Gear into one experience. Taking place on the top of Outer Haven, Snake bares it all in a brutal fistfight against Liquid Ocelot; it completely changes the game mechanics to a pseudo-fighting game while collecting the series’ history into one final showdown. While most games end with the typical “big final battle” against an epically-scaled enemy, few bring the same level of emotion and punch (yes, pun intended) as Guns of the Patriots‘ final fight brings. 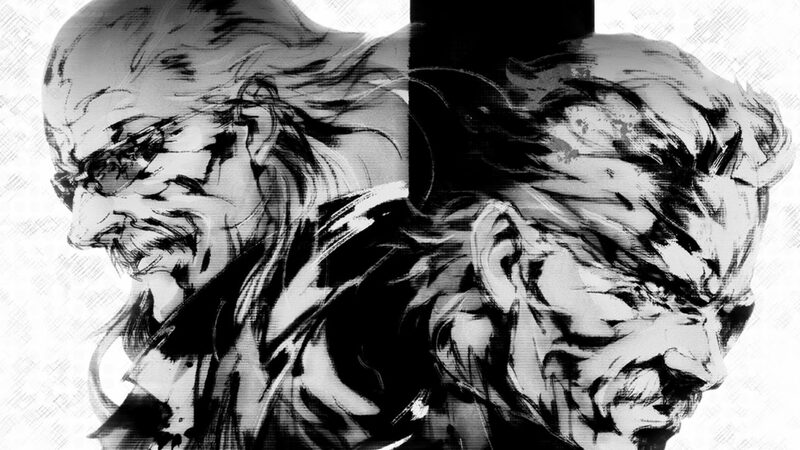 Set to the stirring scores from all of the previous games as Snake and Liquid throw punch-after-punch, it’s just one of the many amazing moments that bring Metal Gear Solid 4 to a close, and along with it a legacy that’s left a lasting impression for many gamers. As it was perhaps the title that I was the most looking forward to play as it was the one I’ve had the least prior exposure to, by the final minutes of Metal Gear Solid 4 I was fully wrapped up in seeing just how Solid Snake’s journey would wrap up. On the eve of The Phantom Pain‘s release this week, the Metal Gear series chronology was always one I had to grapple with between its unusual release structure and story continuity: in many ways, it’d be weird to me to know the ending of an entire saga before experiencing everything that happened before it. Yet with Metal Gear Solid 4 and now being (mostly) caught up in the loop with Solid Snake’s adventures, I now have a more full appreciation of the story that Hideo Kojima and Company have been telling for nearly three decades. Even after a pretty hefty amount of time catching up between Metal Gear Solid through Guns of the Patriots (easily taking up my last few weeks), I’m more excited now than ever to dive in to the end of Big Boss’s story just as I was in the final hour of experiencing Solid Snake’s. 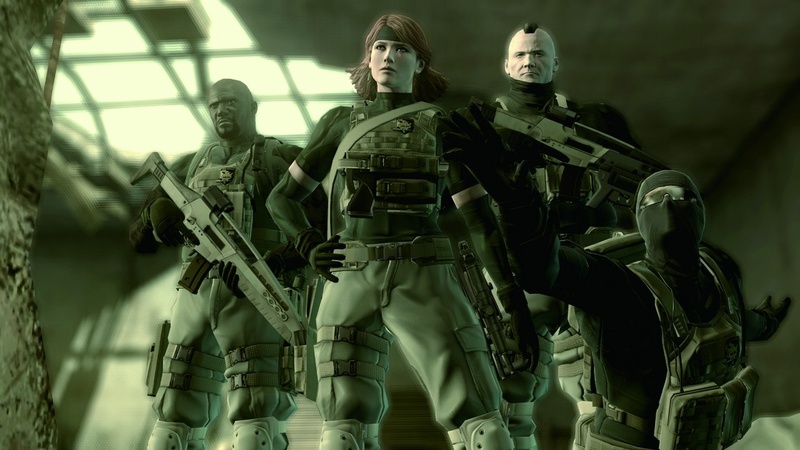 But, as the concluding story in the Metal Gear Solid series, Guns of the Patriots honored one of the game industry’s legends, and in the process gave a story equally worthy of that legacy.